Every CMO and e-comm manager is exposed to hundreds of tools, plugins and sites. These are some of the best that I've found. Fixer Group is a certified Live Chat Inc. expert, but it is such a simple, elegant, but robust system that even someone new to e-commerce could successfully use it. We have worked with other live chat providers in the past, and LiveChat is by far the most user-friendly, both on the operator and the customer end. 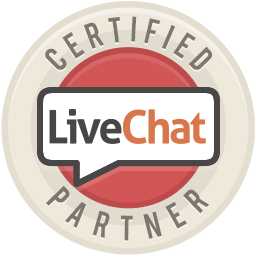 Using LiveChat gives you the tools to provide real-time, exceptional customer service. They are the real deal, and they offer a free 30-day trial to test it out.